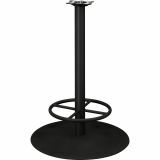 HON Hospitality Table Base | Disc Style | Standing Height | 3" Round Column with Footring | 28" Diameter - Durable, decorative hospitality tables from HON deliver selection, style and great value. 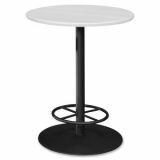 Ideal for cafeterias, breakrooms, small meeting rooms or large commons areas, these well-built tables provide clean design and solid construction. 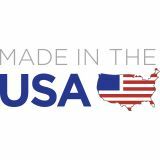 Multiple top shapes can be custom fit to available space. Dozens of laminate choices and several edgeband treatments blend in with existing furniture or create distinctive effects for gathering spaces. 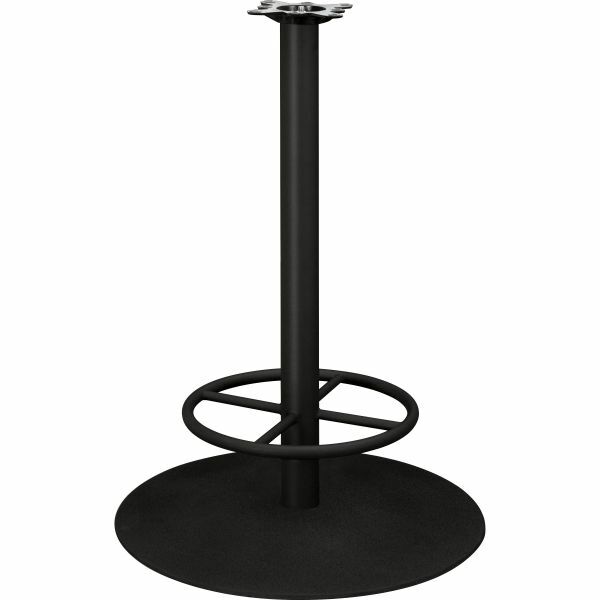 Bases are available in standard or standing heights, with several finish and design options. HON hospitality tables are tailored to upscale tastes, and built to exceed high expectations.